Well, Hello Sunday! 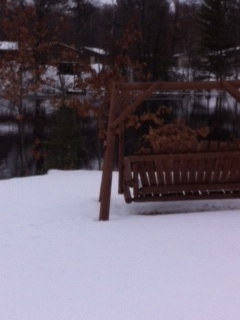 It has been wonderful to just relax and spend some time at the cottage...regrouping! A shot from inside...looking out...oh how I miss that summer swinging! Lots of germs at school and a sick child of my own...but our house is on the mend. That is why it is so nice to get away! It sure is nice to connect with the Teaching Trio for a fun filled linky. Here is the Sunday Scoop...Science School Yard Style! I was at a volleyball tournament and I was so wanting to finish some products when a volleyball landed right on my screen. All of my work...can only be worked on through a TV monitor. I need to buy a new computer...right now I am on my school computer which is a MAC. Not a fan. Any suggestions? I love seeing how people decorate their rooms to set the stage to engage. In first grade, we are working on our FOSS balance and motion kit. I want to always make it a bit more fun so we use the circus theme to add to our balance activities. So, with balancing crayfish and balancing semi circles...which we incorporate Mirette and The Tight Rope to make the shapes mean something (Mirette is the triangle it looks like a skirt, and Bellini is the semi-circle...it makes it more interesting). Next week however, we are performing some circus acts for their teachers to show them what balance means. 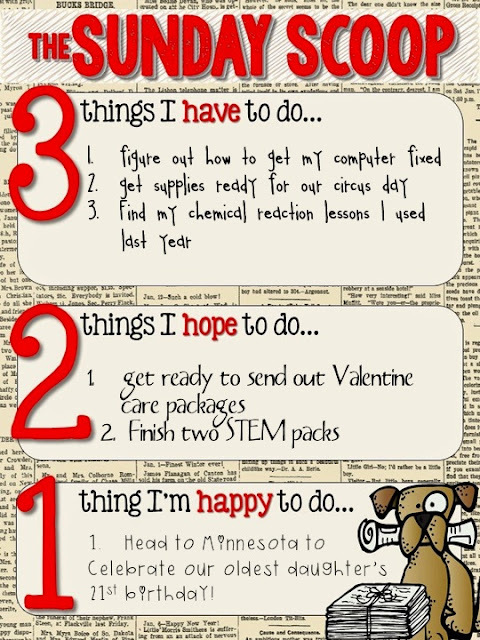 Tightrope walking, folder balancing, magic pencils, and more! I will be wearing a clown costume and a top hat...We have elephants...bears...and lions! Oh my! I am planning for next week's fifth grade lesson and guess what, my lesson from last hear is on my broken computer. I will have to find a way to project it on the TV when my husband isn't watching it. I will find it...I will! 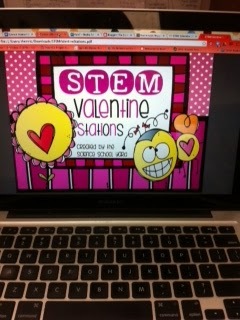 STEM Valentine's Day Stations!(HERE)! I am getting them all ready for my little sweethearts. My...My...does time fly! My oldest daughter will be 21 on the 7th and we are headed to Minneapolis to meet her for a bit of shopping at the Mall of America then onto Mankato for birthday fun! She babysits for some cuties and we are throwing a Princess Party in the hotel! I am really looking forward to seeing her and celebrating her milestone! I love setting the stage to engage!!! I trying to do it more and more!!! Have fun celebrating your daughters bday!!! !